As National Sandwich Day approaches once again, Subway is brushing off its annual deal that will have you swimming in sandwiches. 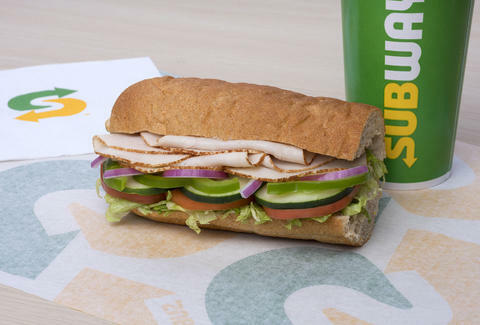 For the third year in a row, Subway is not only participating in National Sandwich Day, but World Sandwich Day. It's expanding its annual BOGO offer to more than 40,000 locations in 60 countries. The important bit: On November 3, buy a sandwich and a drink you'll get a free sandwich of equal or lesser value. That makes it a pretty solid day to go halfsies with your office buddy. As these kinda-sorta food holidays go, there will be a lot of restaurants offering deals on November 3. However, Subway's deal won't just put a free sandwich in your belly, it'll give you the warm fuzzies. The sandwich shop is using the promotion to fight hunger. For every BOGO deal redeemed, it will donate a meal to the hunger relief organization Feeding America, which gets four out of four stars from Charity Navigator. Last year, the promotion ended with Subway donating 11 million meals to Feeding America, which was the largest single-day donation the charity had ever received. While you wait for November 3 to arrive, you can do a little anticipatory celebrating with National Pizza Month deals.